In a rare victory against state DOT standard operating procedure, residents of Oklahoma City last week managed to compel the Oklahoma Department of Transportation to consider a redeveloped street grid as an alternative to a wide, high-speed boulevard through the city’s downtown. A highly-organized group of volunteers calling themselves Friends of a Better Boulevard has been challenging Oklahoma DOT’s plans for an area near downtown where the I-40 elevated highway was recently torn down. ODOT had originally proposed an elevated highway-like road through the “core-to-shore” area, where the city had been planning a walkable, mixed-use neighborhood. 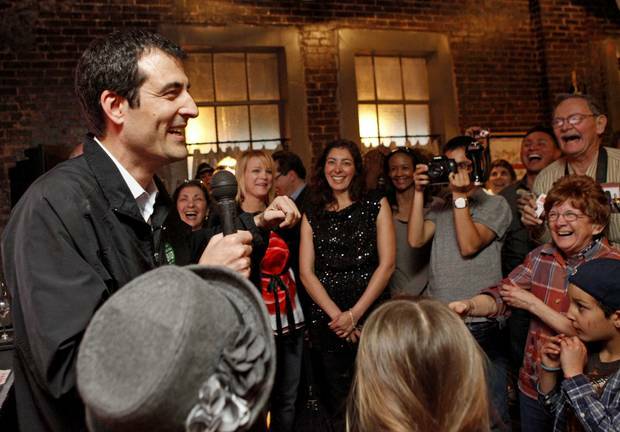 So far, the OKC advocates, with the support of City Councilman Ed Shadid, keep on winning. Their first victory was challenging the state’s environmental analysis for I-40. The state had conducted a single environmental impact study for the I-40 teardown, the construction of the boulevard that would take its place, and an I-40 replacement highway nearby. But advocates successfully argued that the $85 million boulevard project was large enough to deserve its own environmental impact statement. Now, in another major victory, OKC advocates have changed the DOT’s “alternatives analysis” process — part of the environmental impact study. This process is meant to evaluate a set of options for the project; generally state DOTs just trot out of a handful of similar road plans with slightly different alignments. But Friends of a Better Boulevard and its allies argued that the DOT should add a proposal that differs significantly from the “boulevard” plan: the reconstruction and enhancement of the original street grid, known as “Alternate D.” And last week, FHWA intervened on the advocates’ behalf and ordered the state to add Alternate D to the analysis. Friends of a Better Boulevard’s Bob Kemper, a former ODOT engineer, said the wide boulevard would divide downtown, much like the structure it replaced. Kemper said he just hopes ODOT doesn’t use inflated traffic modeling to rule out the concept. Between now and July 2, Friends of a Better Boulevard is hosting a letter-writing campaign to public officials to show support for Alternate D.
The link below is to a page on Oklahoma City’s web site. There’s a lengthy video (~ a hundred minutes) and a link to a forty-eight (48) page PDF of some slides. It’s a simple criteria really; do you want to build your city for cars or people? ____Page is on Oklahoma City’s web site. It has an embedded video and a link to a forty-eight (48) page PDF of some slides. ____Four (4) page PDF of the alternates including a version of ‘D’ that doesn’t match the one at the top of the post. ____Image of a grid alternate that overlaps the center third of ‘D’. ____Source of #3 at a discussion forum – page #52 of “Friends for a Better Boulevard“. Also has links to images of the initial set of choices (forty in all per “Pete”). Asheville has a plan to salvage part of its city from a highway. But North Carolina DOT wants to rush forward with a highway rebuild without committing to that plan.